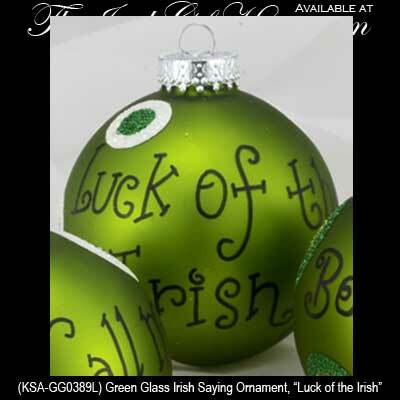 Green Glass Irish Saying Ornament, “Luck of the Irish”. 3" Diameter, Gift Boxed. From KSA.